Raimundo Augusto Lima, 77 (shirtless) and Genessi Rodrigues de Almeida, 84, try to fix damaged fence in flooded street. One can see the flood line - brown mark in the blue stilt house. 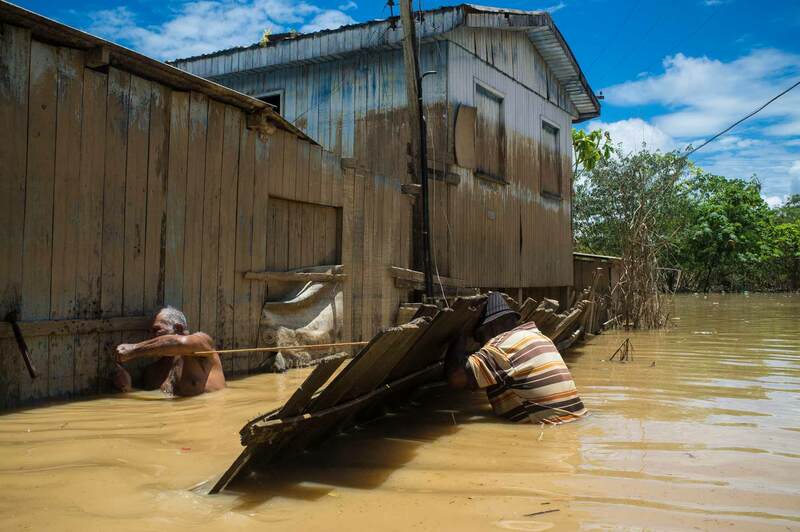 2015 flooding in Brazilian Amazon, Taquari district, Rio Branco city, Acre State.